What Is A Tactical Pen? Why Should I Use One? Tactical pens offer a good concealed carry solution for anyone who wants to be safe without attracting unwanted attention. They can be used as self-defense or survival tools, but they look just like regular pens. Finding the best tactical pens can be slightly difficult, especially if you never owned one before and you don’t know what to look for. In the following article, here in Shooting & Safety, we present the best models of 2019, and we explain what to look for when buying a tactical pen. One of the main advantages of tactical pens is their ability to fool the untrained eye. You will be able to carry them wherever you go without turning any heads or attracting attention to yourself. Size : 6 3/4 "
If you want to be able to protect yourself at all times, you need a tactical pen. These pens are built to last, and they can help you if you’re in a tight spot. The Gerber Impromptu tactical pen has a rugged steel body. It comes with a push-button mechanism that will always deploy the ball point mechanism. 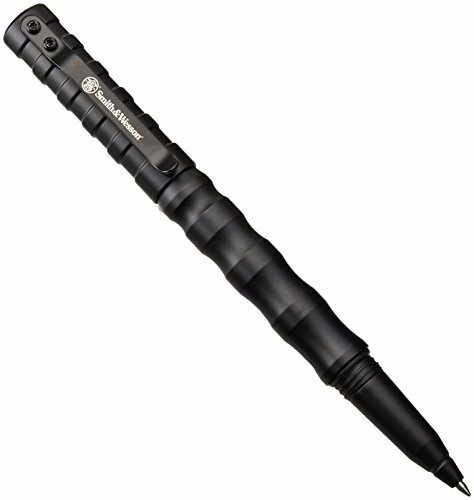 The tactical pen has an integrated glass-breaker that will allow you to get out of trouble without harming yourself. The “Rite in the Rain” ink works in any type of environments, and you will be able to take notes even if it’s raining or foggy. Good Balance – There’s no point in buying a tactical pen if you can’t actually write with it. This pen has a good balance, and you will be able to write for a long time without any problems. Looks Like A Normal Pen – Unlike other tactical pens, this model does a great job of looking exactly like a regular pen. If you have to use your pen very often, this model is a good choice. Push-Button Mechanism – The push-button mechanism can be a weak point in this model’s design. If the mechanism fails, this pen loses its purpose. 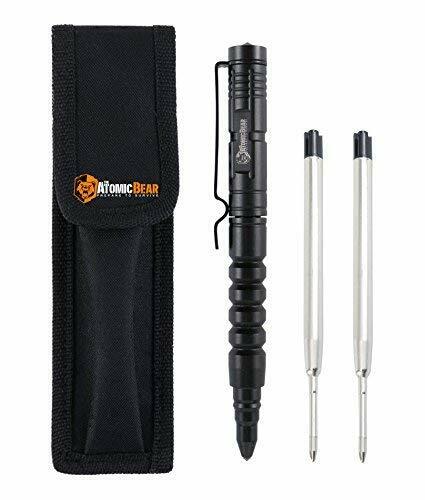 If you’re looking for a good survival tool you can carry around in any type of situation, you should take a closer look at this tactical pen produced by Inazuma International. 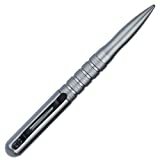 This tactical pen is made out of aircraft-grade aluminum, and it uses a steel alloy attack head. The aluminum casing keeps the pen’s weight low, so you can still write with it without any problems. The pen is not only good for self-defense. It comes with a built-in multi-tool, and you can use the screwdriver, hex wrench, bottle opener, and scraper any time you need to. The pen also has a built-in flashlight you can use in case of an emergency. The flashlight’s battery can last for up to 10 hours of continuous use. Multi-Tool – The pen comes with a multi-tool, so carrying it around will come in handy on many occasions. Cheap – This tactical pen is very cheap, especially if you take into consideration the two refills and two extra batteries it comes with. Longer Than Other Models – This tactical pen is slightly longer than other models. You might want to train a bit with it first, especially if you’re used to using shorter models. The Practical Tactical Pen produced by Pocket Partners is a model you should take into consideration if you’re looking for a self-defense weapon you can carry with you at all times, even when you travel or when you’re at work. The pen has an elegant design that will look just as a regular pen for the unassuming eye. The pen’s cap will slide firmly onto the back when you’re writing, so there are lower chances you’ll lose it somewhere. This model has a nice weight, and it’s perfectly balanced. This will help you use the pen when you’re writing, but it will also be of use when you’re using it in a self-defense situation. Sturdy Pocket Clip – The pocket clip can often be a tactical pen’s weak point. This is not the case with this model, as the pocket clip is very sturdy. Ensures A Good Grip – The pen comes with 5 texture bands that will help you grip it securely even when it’s raining or you have a wet hand. Threaded Cap – The cap is threaded, so you have to turn it for a few turns before you can take it off. This might be an inconvenience if you’re in a hurry. If you’re looking for a durable tactical pen that’s inconspicuous enough not to make people take a second look at it, then the Schrade SCPENBK is the right model for you. This pen is one of the best self-defense solutions if you’re traveling and carrying a gun or an air pistol is not practical. The pen is 5.7” long, so it can be carried in a shirt pocket without any problems. Its casing is made out of aircraft-grade aluminum, and the pen’s design resembles that of a normal one. This tactical pen is sturdy, and it weighs enough to do real damage in an emergency situation. The weight of the pen is well distributed, so you won’t have any problems writing with it. Easy To Find Refills – Unlike other tactical pen models which use refills you can only find online, this one can use refills you can find in your local office supply store. Sturdy – This is a sturdy pen, and it can be used with great results in emergency situations. Tight Pocket Clip – The pocket clip is very tight, so you might want to loosen it up a little before you start carrying the pen around. The SWAT Tactical Pen produced by ATOMIC BEAR should be a go-to model for anyone who is looking for a self-defense and emergency situation tool but has a tight budget. This pen doesn’t cost much, and it offers a great value for its price. Unlike other tactical pens, this model is not heavy. All the weight is well distributed. You won’t have any problems using it in an office, even if you have to write for some time. One of the good things about this tactical pen is that it’s compatible with other refills. You don’t have to necessarily buy them online, you can find them at your local office supply store. 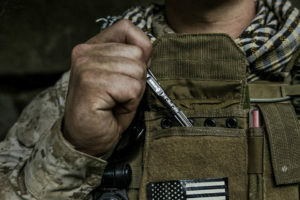 Carrying Pouch – This tactical pen comes with a carrying pouch you can attach to your vest or tactical belt. This is a great way to make sure you always carry the pen without feeling any inconvenience. Stable Thumb Grip – The pen’s stable thumb grip will allow you to put more force behind each strike. This is a great feature, especially if you have to use the pen during an emergency. 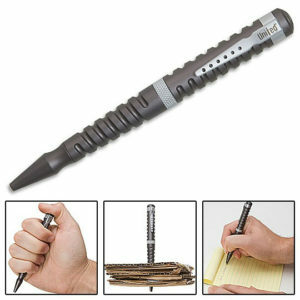 Seems Long For A Pen – This tactical pen might seem a little too long for some people. This might inconvenience you when you write with the pen for a longer time. If you’re looking for a pen that can really help you in a scrap, you should take a closer look at the model developed by Smith & Wesson. This tactical pen is slightly longer than a normal one, and it’s also more robust, providing a better grip. The pen’s design resembles that of a regular pen, and most people will not consider it worthy of a second look. The wavy design of the aluminum casing improves your grip, making it comfortable when you write, as well as when you use the pen in an emergency situation. Rubber Seal – The pen’s cap is secured in place by a rubber o-ring. The o-ring will also protect the pen, making sure that sand and moisture don’t affect the ballpoint. Well Balanced – The tactical pen is slightly longer than a regular pen, and it is also bulkier. These features might have been an inconvenience when writing, but thanks to the pen’s balance, they are not. 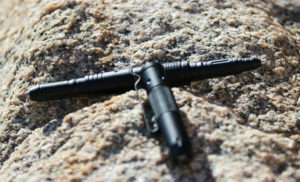 Clip Is A Weak Spot – Unlike other tactical pen models, this one has a clip that attaches to the pen using small screws. This can be a weak spot in the pen’s design. A tactical pen is a writing instrument that can serve as a survival tool or a self-defense one when you need it to. Unlike regular pens, these models are more durable, and they use special ink that can write in all types of weather conditions, including rain. A tactical pen can be helpful for anyone who wants a concealed carry self-defense weapon they can use when they can’t carry a handgun. 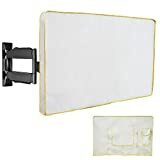 They are especially useful for military or police personnel, but they can offer certain advantages for anyone who uses one. Finding the best tactical pen can be tricky, especially if you haven’t used one before and you don’t know what to look for. In the following section, we explain how to find the right tactical pen model for your needs. A tactical pen can play many roles, and you can use one in various situations. Identifying the type of situation you’re most likely to use it in can make it easier to find the right model. Writing – A pen is a pen, after all. You use it for writing. If you frequently have to use a pen, you should buy a tactical pen that doesn’t weigh too much. One of the problems people frequently have with tactical pens is their weight. Unlike regular pens, tactical pens are specially designed to weigh more, so they can be more effective when you have to defend yourself or when you want to use it to break a window in the case of an emergency. If you have to use the pen to write long reports, or you have to sign a lot of papers, it might be better to find a model that doesn’t weigh too much, so your hand won’t tire quickly. Some models use ink cartridges that allow you to write in all kind of conditions, even if it’s raining or foggy outside. If your job usually involves being out in the open, it might be better to buy such a model. Even if the model you like best doesn’t come with such a cartridge, you should know that there are certain manufacturers that sell ink cartridges compatible with most tactical pens. Self-Defense – If you want to buy a tactical pen because you need a concealed tool you can use in a self-defense situation, it would be better if you had some training first. That said, you should know that some tactical pens are heavier than others. Some people prefer a heavier pen because it can do more damage, while others prefer a lighter one because it’s easier to wield. This is usually only a matter of preference and defense style you’re used to. Glass Breaker – Some people want to buy a tactical pen because it is a valuable tool for their cars. A tactical pen can be used with good results as a glass breaker. 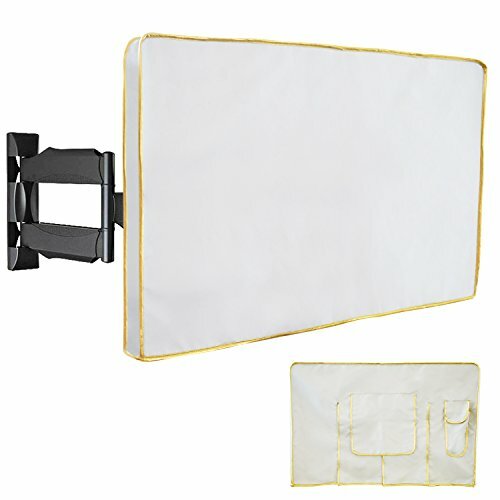 You can use one to get out of your car quickly in the case of an emergency. If you’re one of these people, you should know that tactical pens usually come with two types of glass breakers. Some models come with a reinforced tip on their rear end that acts as both a glass breaker and a self-defense tool. Others use a prolonged tip made out of steel or other durable material right next to the ballpoint. Both designs are good at breaking glass, but some people prefer the reinforced tip to the prolonged one because it provides a wider impact point. Multi-Tool – Some tactical pens can come with more features. Models such as the Inazuma Tactical Pen come with a built-in flashlight. The flashlight is a good accessory, but since most smartphones nowadays have one, it might not be really necessary. Other models can act as a screwdriver, a bottle opener, or even a wrench. Depending on your schedule and job necessities, you can find a tactical model that can help you in more than one way. One of the most important features of a tactical pen is its ability to look exactly like a regular pen and not attract any unwanted attention. However, some manufacturers prefer to design models that are larger but are more reliable in a tight spot. If you want to buy a tactical pen, but you’ll most likely keep it in your car’s glove compartment, you don’t have to buy one that looks like an ordinary pen. You can buy one that’s more reliable because only a handful of people will ever see it. If on the other hand, you want to buy a model you can carry when you’re at work or when you’re going to the mall, finding one that looks inconspicuous is very important. Some manufacturers even offer the possibility of buying a pen in bright, happy colors, making them look even less as a weapon so they won’t attract attention. Whenever you’re buying a writing instrument, you also have to take into consideration the type of ink cartridge it uses. Is the cartridge easy to replace? Can you find a replacement quickly, or can you only use the ones produced by the same manufacturer as the pen? The type of ink cartridge used influences your writing, so finding the right one for you is also a matter of preference. Here are the main types of ink cartridges tactical pen manufacturers use. Fischer Space Pen – Even though this is an awesome ink cartridge, you won’t be able to find it as the factory default for many models. This cartridge is pressurized, so it can write on most surfaces. No matter how sharp the pen’s angle is, this cartridge will still work. One of the best features of this ink cartridge is its ability to write in every type of environment. The manufacturer advertises that you can use it in temperatures between -30 and 250 degrees F, but as you can imagine, we couldn’t put that affirmation to the test. One of the downsides of this ink cartridge is that it comes at a rather high price. Parker Ballpoint – This is the most common type of ink cartridge used by tactical pen manufacturers. Its main advantage is its price, and you will be able to find replacements for it even at your local supply stores. This ink cartridge is easy and comfortable to use in normal conditions, but you might experience some problems if you intend to use it in extreme conditions. Parker Gel Ballpoint – This is another popular type of ink cartridge. Even though fewer manufacturers use it as a default option, this type of ink cartridge is not expensive, and it looks better than the simple ballpoint. The writing experience is also improved, and you will be able to write faster, with a smoother flow. The gel ink will run out faster than the regular paste one, but the cartridge is easy to find and replace. Even though these are the main types of ink you’ll find on the market, you should be aware there are others as well. Some of them will offer a similar performance as the ones we presented, but they might be cheaper if they’re produced by a less renowned manufacturer. You might be wondering why we’re bringing up the price of a tactical pen when most of the pens we presented are in the same price range. Well, you should be aware that tactical pens come in a wide price range. Some models are very cheap, while others can be really costly. When it comes to buying a tactical pen, you have to take some things into consideration. First of all, you’re not going to use a tactical pen at its fullest capacity every day. In fact, chances are you’ll only be using it as a regular pen on a daily basis, so the first thing you have to think about is its ability to write. Second, all tactical pens serve the same purpose. They are self-defense or survival tools you can use for writing. Since most of them offer the same features, why should you spend a lot of money on one? It’s more important to spend more on the type of ink cartridge you use, so you can be sure the pen will be able to write in all kind of weather conditions. Third, a higher price doesn’t guarantee a better instrument. It’s true that some more expensive models come with one or two advantages over the cheaper models, but do you really need them? Some of the high-end models claim they can be used at temperatures of up to 250 degrees F, but are you really going to spend your time in such an environment taking notes? You should buy a tactical pen that can do whatever you need it to on a regular day and one that can be of real help in a tight spot. You don’t need to spend a fortune to find such a model. Tactical pens can be of great help, especially if you work in the Police or Armed Forces. They offer a good concealed carry self-defense tool, and they can be used efficiently with the proper training. We’re certain that after reading this article, you can agree that finding the best tactical pen is not about finding the most expensive one. Most of the models available on the market offer similar features, and paying more for one model is often unjustified. Keep in mind that buying a tactical pen is never enough. You should also train with it regularly, so you can get used to its weight and grip. Is this product a must have? Will It meet all the expectation advertised as being a secret weapon for my kids that are headed to College? From your perspective!